The lesson for today is to learn about What’s Inside Human Body. You talk passionately about What’s Inside Human Body with the properties, then you show the students some pictures and videos. It all looks fun, but isn’t it a little bit too traditional in 2017? Because, in 2017, you can actually transport your students into human’s body — if you want to. The answer is virtual reality. Virtual reality (VR) is the computer-generated simulation of a three-dimensional image or environment that can be interacted with in a seemingly real or physical way by a person using special electronic equipment, such as a helmet with a screen inside or gloves fitted with sensors. In short, VR can transport you from one place to another place through VR headset. Or, seeing human’s organ right in front of your eyes. 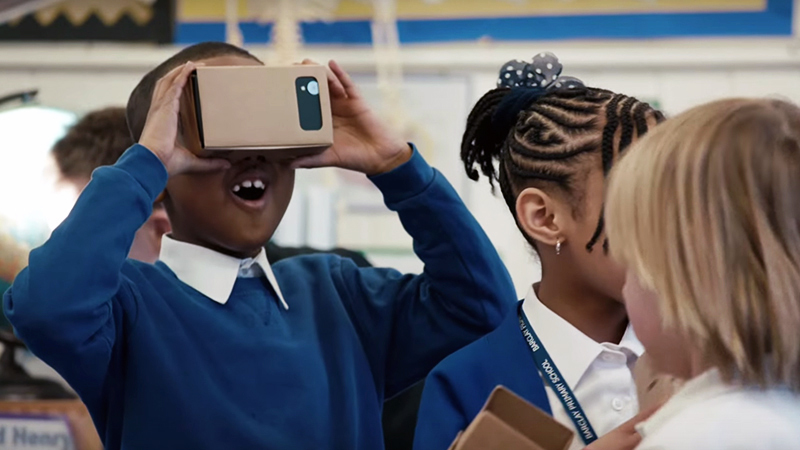 Virtual reality for education is like having a field trip every day, in a place they might never visit in real life, all from the classroom, safe and sound. Who does not love it? All you need is just a VR headset. The price ranges around $15 to $699, so it’s always on your budget. There is already a bunch of VR headsets in the market: Cardboard, BeThere Book, Samsung Gear VR, Oculus Rift, HTC Vive, but the question is: Which one is the most reliable for educational use? BeThere Book is a virtual reality viewer made by Visual Experience. At the first look, BeThere looks just like a book: It is easy to bring, carry, and distribute, but when it is opened, a VR viewer will pop up. Also, you are going to find a QR code that will direct you to a curated list of VR apps and 360 videos; so, you, as a teacher, do not need to waste much time to find the most recommended app for your classroom. Working with any kind of Android phones and iPhones, BeThere Book has four editions: Travel Edition, Learning Edition, Sporting Edition, and Gaming Edition. Each edition provides a list of recommended VR content and 360 videos. Is BeThere Book suitable for classrooms? Definitely! BeThere Book is the only VR viewer that provides the recommended VR content and 360 videos, so teachers do not really need to waste more time in digging the best VR content. For example, if you’re teaching Geography or any lesson related to places and countries, you can simply bring BeThere: Travel Edition because it has provided you recommended VR apps and 360 videos related to traveling that you could find through the QR code. If you’re a teacher who just wants to get to know with VR, then BeThere: Learning Edition is suitable for you because it has provided you recommended VR apps and 360 videos related to general education, such as Science, History, et cetera. BeThere will release a new edition called “BeThere: Renewable Energy”, a virtual reality book that allows students to visit, explore, and experience renewable energy park in a virtual world. For your information, BeThere is currently offering 18 ideas to build VR in the classroom for teachers and educational organizations. The price of BeThere Book is $26 per each unit. 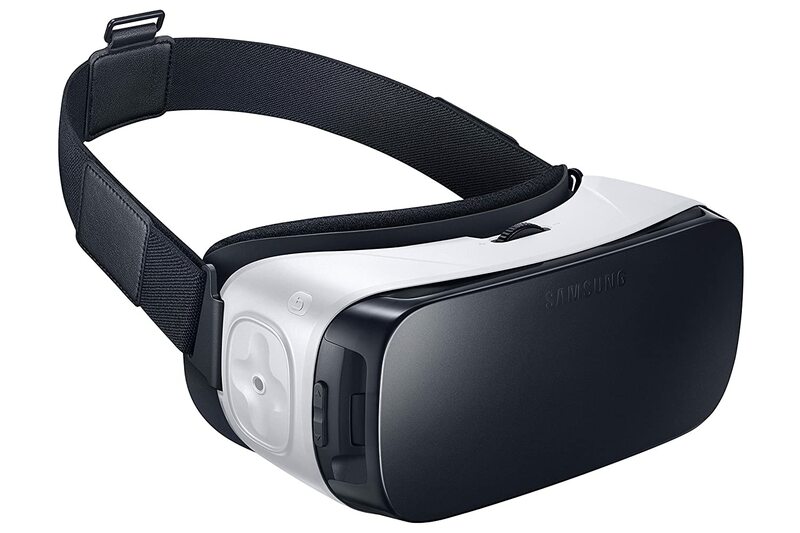 Samsung Gear VR is a mobile developed by Samsung Electronics, in collaboration with Oculus. It gives you a premium, high-quality VR experience through a mobile phone. Furthermore, Samsung’s hardware also includes fully adjustable head straps, and all you need to do is to focus on whatever your eyes want to see. Unfortunately, Samsung Gear VR only works with some Samsung Galaxy devices and has a 13+ age rating. The price is $99 per each unit. Oculus Rift and HTC Vive are the best VR headsets on the market. Comparing to other VR headsets, Oculus Rift and HTC Vive have a wider 110-degree field of view. Hence, it makes the experience much more real. Moreover, Oculus Rift and HTC Vive give you a chance to interact with the virtual world through a controller, which will deepen your experience. Last but not least, these VR headsets offers some great VR apps that you won’t find on any VR platform. If you’re going to take Oculus Rift and HTC Vive into your classroom, you need a Windows PC with an Intel Core i5–4590, AMD Radeon RX 480 as the GPU, 8GB RAM. Which could be expensive, if you’re on the strict budget. And, make sure that your students are 13+ because Oculus Rift and HTC Vive does warn against allowing young children to use their headsets. Thus, if you want a deep experience in virtual reality for education, go with Oculus Rift or HTC Vive. Nevertheless, if you’re looking for something affordable, if you want each of your student uses the headset, if you want something simple that doesn’t require any complicated installation, then BeThere Book is suitable for you. You don’t need to waste so much budget, and it’s a good start to experience virtual reality. Are you ready to take your students on a virtual trip every day? Do you have any question related to virtual reality for education? Reach us on Facebook or Twitter! If you’re an educator who wants to have a special virtual reality in your classroom, let’s have a chat with us here. ← Why Isn’t Virtual Reality Mainstream Already?